It’s been quite an amazing spring on Broadway, folks! Famed Broadway impresario and notary public Perry Block leaned back in his chair and smiled. “When my new musical opens,” he told me on the QT, “we’ll run them all out of town …. or at least into the lobby where they can enjoy an orange drink and a 35 minute wait for the Ladies Room!" That new musical is Aquaman: Pull Out the Plug, based on the superhero comic book Mr. Block used to get beaten up regularly for reading in grade school. I asked about the intriguing new villain the play refers to as "the brilliant but demonically fiendish" Dr. Moriarty. Mr. Block is no stranger to Broadway audiences. In recent years he has produced such classics as Jesus Christ Superstar performed entirely by Hassidic Jews; Enter Slapping, a musical based on the life of Three Stooges centerman Larry Fine; and last season’s musical comedy smash Once, Twice, Three Times A Lady starring Newt Gingrich. 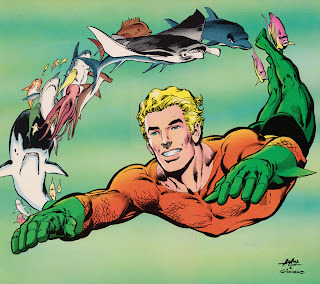 “I’m thrilled to be able to present a dynamic hard-swimming, singing and tap-dancing Aquaman to a new generation of fans,” Mr. Block enthused as he graciously excused himself and headed out to a 6 or 7 martini lunch at Sardi’s. Having been around the Great White Way ever since it was called the Pretty Good White Way, this Broadway vet thinks Aquaman: Pull Out the Plug will make one great big SPLASH at the Box Office! 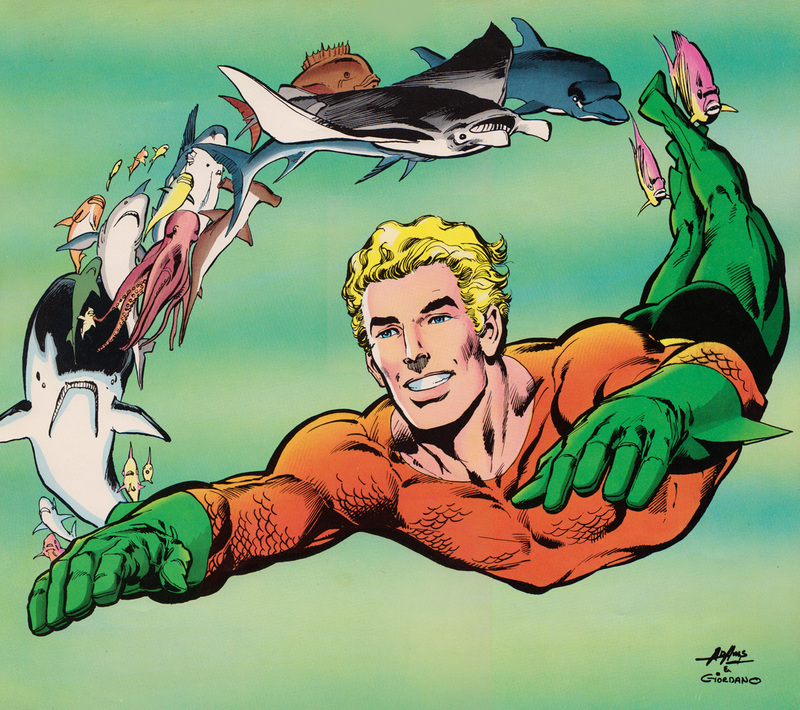 After all, folks, what other superhero can all at once command an army of sharks, swim faster than Michael Phelps, and taste absolutely scrumptious in a butter sauce?